The Institute of Export & International Trade (IOE&IT) is delighted to announce the first conversation in our new series, ‘Talking World Trade Matters’ - a new online webinar feature in which the Institute invites its members to join the conversations tackling the main issues of the day in global trade. The first conversation will be taking place at 19:00 on Monday 4th February, with Lesley Batchelor OBE (Director General of the IOE&IT) and Arne Mielken (Young President of the IOE&IT) leading the conversation. Attendees will be invited to offer their thoughts and questions throughout the session. A recording of the session will be made available to members afterwards. Below are some of the key points on the agenda, as Arne and Lesley look at what can be done to support the smooth cross-border movement of goods and the challenges exporters in the UK face. Of course the UK is approaching a somewhat significant moment in terms of its own borders and customs procedures. The threat of a hard border has made several headlines, not least for its implications in Ireland. Threats of significant delays at ports like Dover have been well documented, while many businesses in the UK are already stockpiling parts and goods as a way of mitigating the risks of a ‘No Deal’. Brexit could fundamentally change the very nature of the UK’s borders, and never has it been more important for our exporters and importers to understand the changes that are potentially afoot. Whatever the Brexit we reach, and whenever it comes into effect, it’s never too early to start preparing for it - as our Director General, Lesley Batchelor, has said. Lesley and Arne will discuss these challenges and what businesses can do to prepare for them – including how the Institute’s training and qualifications help individuals and business get the information and skills they need to thrive post-Brexit. This part of the conversation will also cover how several of our training courses - specifically those covering how to complete customs declarations - can be funded by new government grants. Do we need more ‘Customs Practitioners’ in the UK? The need for a new profession of ‘Customs Practitioners’ is key to ensuring businesses can navigate the potential new checks and controls applied to goods that are moved between the UK and the EU. This profession could well be the lifeblood of a new customs partnership between government and the private sector - one that is able to adjust to the significant changes ahead. Lesley and Arne will discuss the need for more ‘Customs Practitioners’, covering the Institute’s new ‘Customs Professional Pathway’ through which six of our courses can be taken in conjunction towards the attainment of our ‘Customs Practitioner Award’. Many of these courses are also fundable by the new government grants. We recently reported a surge in applications for AEO from UK businesses. There’s been a 26% rise in registrations up to January 2019 compared to February 2017, representing the highest percentage increase in registrations across Europe (see below table). Lesley and Arne will discuss AEO as a solution to both Brexit concerns and to facilitating a more seamless movement of goods across borders generally. They will also outline some of the consultancy and training support the Institute provides for companies looking to attain it. Smart Borders Need Smart Ports? In our ‘2018 Autumn’ edition of World Trade Matters, we spoke to the Port of Rotterdam about some of the innovations taking place at the ports that are on the front line of the cross-border movements of goods. In it we discovered some of the significant automation work that is taking place, with Rotterdam and Hamburg leading the way in becoming the world’s first ‘robotic ports’. 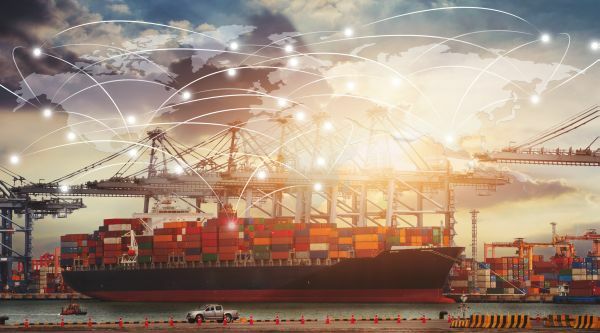 Lesley and Arne will assess the potential impact of SMART ports and how the UK is itself preparing for the significant changes that robotics and automation will inevitably bring. “Under the Trade Facilitation Agreement (TFA) of the World Trade Organization (WTO), developing countries commit to implement a number of very practical measures that make trade easier and more transparent. Countries are obliged to publish duties and procedures on the web, traders can transmit their declarations prior to the arrival of the goods, payments can be made electronically, and fees and charges must not become hidden taxes to generate income for the government. These are just some of the 37 concrete measures grouped into the 12 Articles of the TFA. They are all useful and help to make trade more efficient. Lesley and Arne will discuss the importance of the TFA, and what needs to be done to make trade facilitation work for everyone.